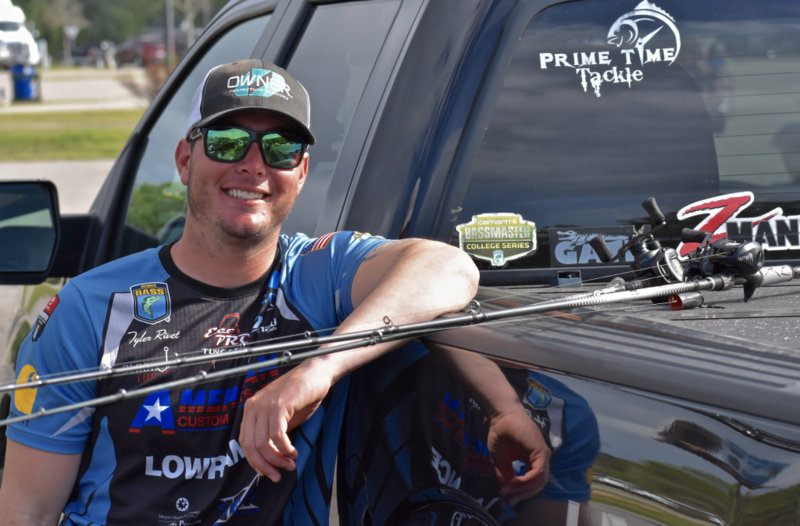 If you are a young angler with aspirations to fish at the next level but you’re not real sure which route to take to get there, look no further than Bassmaster Elite Series Rookie Tyler Rivet. Rivet grew up fishing in the back of the boat in local clubs near his home in Raceland, LA before attending Nicholls State University for a college education. There, Rivet joined the bass fishing club and began an extremely fruitful college fishing career, qualifying for the Carhartt Bassmaster College Series Championship every year he competed. It had always been a childhood dream, but the success and the platform Rivet found fishing in Carhartt College B.A.S.S events was what propelled him to pursue becoming a professional fisherman. The B.A.S.S. platform provided a myriad of opportunities, so Rivet registered for the Bassmaster Opens and began competing at the next level. Taking his share of licks while cashing two checks a year during his first two Bassmaster Opens campaigns, just enough to keep him financially able to continue chasing his dream. In 2018, Rivet set the hook on that dream when he qualified for the 2019 Bassmaster Elite Series through the Bass Pro Shops Central Opens.